Worker Cooperatives Empower and Promote Economic Equality - CooperationWorks! 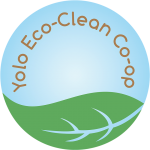 With assistance from the California Center for Cooperative Development (CCCD), Yolo Eco-Clean Cooperative (YECC-Pronounced “YES”) officially launched early this year. YECC is a worker co-op developed to create jobs and cooperative ownership opportunities for underserved residents in Yolo County, California. The co-op provides residential and commercial cleaning services using environmentally friendly solutions and practices. Workers are engaged in deciding their work schedule, how work is organized, and all aspects of decision making. They have opportunities to try on “new hats” as they engage in business strategy, public relations, accounting, marketing, and leadership. YECC was developed using the “Build and Recruit” model of cooperative development. In this model, with assistance from CCCD, pre-development and early launch decisions are made by a steering committee and temporary board composed of community members who volunteer their time to the initiative and shepherd the business while initial members go through the membership process. Volunteer community members gradually leave the board as they are replaced by worker-members. Once the business plan and initial fundraising were complete, CCCD worked with a local partner non-profit to promote the co-op and pre-membership classes. Prospective members must complete eight hours of classes that focus on the cooperative business structure, governance, finance, and a session outlining the Bylaws of Yolo Eco-Clean Cooperative (YECC) before they can be considered for introductory “Class One” Membership with the co-op. Class One members must work for the cooperative for six months before they are eligible for “Class Two” membership, which includes eligibility to serve on the Board of Directors. The benefits of working at YECC are multifaceted. Wages are better than comparable jobs, and members share in the profits. But there are other benefits as well. Workers are engaged in deciding their work schedule, how work is organized, and all aspects of decision making. They have opportunities to try on “new hats” as they engage in business strategy, public relations, accounting, marketing, and leadership. Empowerment and social capital are natural outcomes of worker cooperatives like YECC.